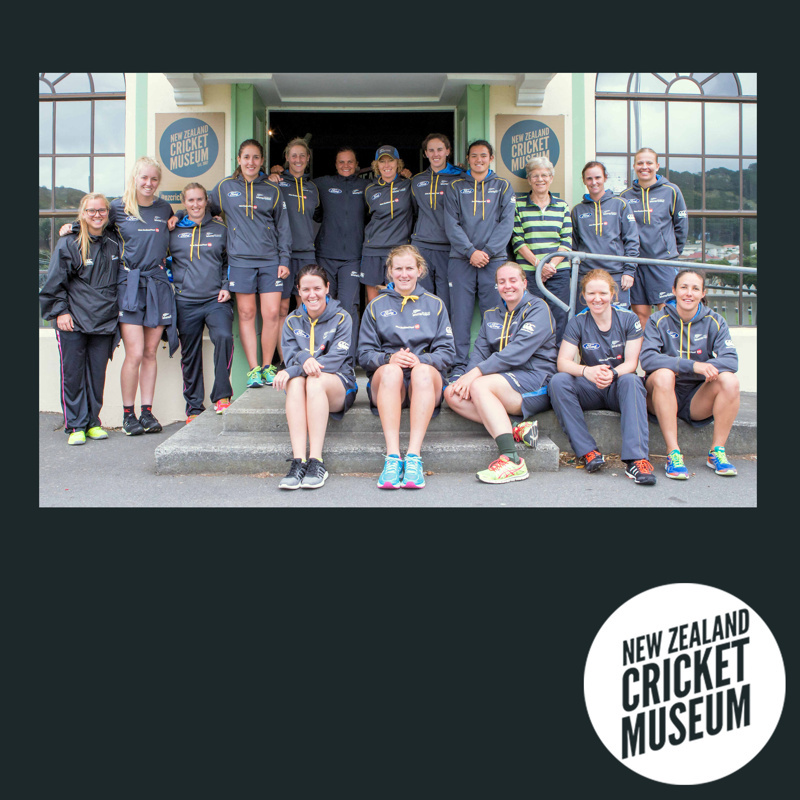 About this objectPhotograph of the 2015-16 WHITE FERNS squad taken outside the New Zealand Cricket Museum after a team visit on February 27 2016. The team were in Wellington to play two T20Is against Australia at the Basin Reserve. The won both, securing the series which eventually finished 2-1. Seated (L-R): Erin Bermingham, Morna Nielsen, Rachel Priest, Katie Perkins, Sara McGlashan.